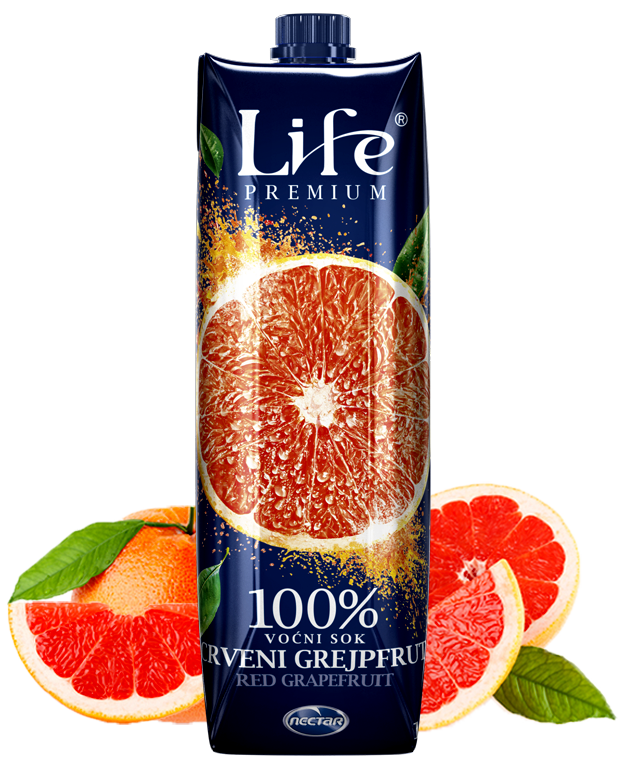 Red grapefruit brings the atmosphere of a warm, exotic place into your glass and into your life. Six big, ruddy, red grapefruits in one Life packaging. Cloudy red grapefruit fruit nectar. Once opened, keep refrigerated and use within three days. Best used before the date printed on the top of the packaging.